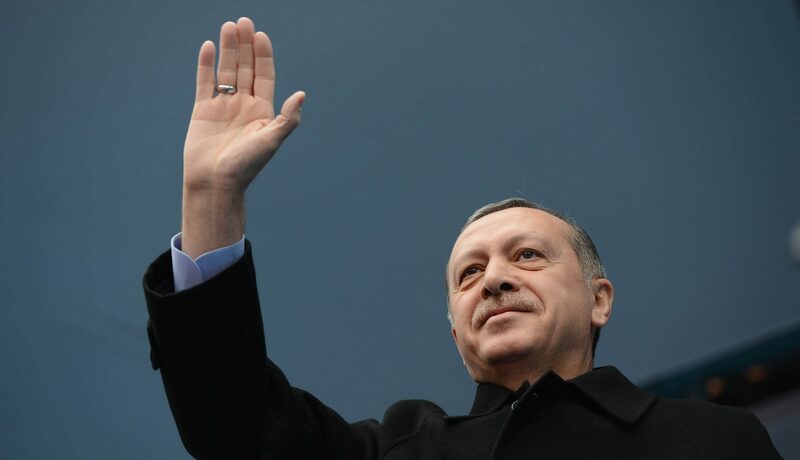 In 2001, with the country in the midst of a severe economic crisis, Erdoğan founded the AKP, following the dissolution, by the Constitutional Court, of the Virtue Party and the Welfare Party. Although the AKP was created from the ashes of the aforementioned parties, which were accused of secularism, its aims were described as ‘conservative democratic’, and a hidden Islamic agenda was repeatedly denied. After the AKP won the elections by a landslide in 2002, the party pursued its proposed goals of EU membership and economic stability, putting in place several structural reforms, and seemingly respecting Turkey’s secularist system. In the years that followed, Turkey witnessed a remarkable economic growth, and its population rejoiced, but the secular segments of the country were becoming increasingly concerned about AKP’s possible Islamic agenda. In 2007, the Turkish military gave the government a first warning, threatening to intervene, if necessary, in defense of Turkey’s secularist principles. Refusing to be intimidated, Erdoğan promptly called for early elections, whose results consolidated his hold on power in the country. Despite making minority rights for the Kurdish population a priority in its first term, the AKP did not follow through with the Constitutional reform that would make Kurdish ambitions possible to achieve. In October of 2011, the PKK killed 24 Turkish troops near the border, their deadliest attack since the 1990’s. In May 2013, a protest about an urban development plan in one of Istanbul’s scarce green places, turned into a country-wide protest against the government’s growing authoritarianism, after the police cracked down violently on protesters in Gezi Park. In the upcoming 2015 elections, the party still managed to amass approximately 41% of the votes, but for the first time it failed to obtain a parliamentary majority. On July 15, 2016, the Turkish armed forced attempted to overthrow the regime, but the revolution failed, as the soldiers proved unable to establish control, and received insufficient public and military support. In the aftermath, the government declared a state of emergency, which has since been extended for an additional 3 months. Since July, the AKP regime has ordered a major crackdown that has rippled throughout the country. Approximately 110,000 people, mostly civil servants, were suspended or fired, and there have been 37,000 arrests. Media outlets throughout the country were shut down, and there have been reports of torture and abuse of detainees. The AKP regime in Turkey has become as increasingly popular research topic among scholars since its establishment in 2002. The literature tackling this field of study is extensive and diverse, but it is easy to identify common approaches among researchers. Several works address the changes in the Turkish party system caused by the rise of the AKP, namely the transition from a ‘political Islam’ to a ‘conservative democracy’. Another popular interest is the state’s foreign policy. In this context, researchers have looked into its Europeanization, and analyzed its more recent shift Eastward. Scholars have also focused on the country’s transformation under the AKP rule, particularly its economic growth in 2000’s, as well as whether the Turkish secular democracy model could be applied to other Muslin-majority countries. Over the years, it has become progressively obvious that the AKP is neither ‘democratic’ nor ‘secular’. Since 2007, the party has faced several crises that had secularism at its core, as many policies of Erdoğan’s regime have had an Islamic agenda. However, those concerns have been outweighed by another fear: the increasing authoritarianism of the Turkish AKP regime. While it seems apparent that support for the party is dwindling, the recent government crackdown on its opposition clearly showed that Erdoğan still has a strong hold on power. Although some of Turkey’s Western allies have condemned the country’s latest oppressing actions, they might hesitate to intervene. Turkey is a crucial player regarding the Iraqi and Syrian conflicts which, in light of the present refugee crises, are of the utmost importance for the EU. The country is also an important member of NATO and maintains an old, strong alliance with the US that continues to develop even in light of the recent events. There also does not seem to be an end in sight for the Kurdish question, especially after the HDP, a pro-Kurd party, denied the regime a majority vote in 2015. Now more than ever, the AKP shows its true colors.